Apple may have a big media event coming up on March 25th, but that isn’t stopping CEO Tim Cook from going on tour. He’s been in Beijing this week, touring local landmarks and meeting China’s Vice Premier Sun Chunlan. During the meeting, it has been reported that the pair discussed education and further cooperation was promised according to state-run Xinhua news agency. Apple is keen to make sure that everyone is aware that its iPads and Swift programming language have a home in schools, and this was presumably a topic of conversation. 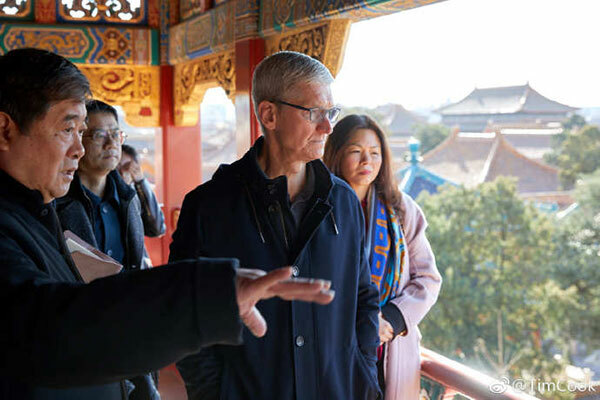 Also in China, Cook visited the Forbidden City while taking the chance to push apps that “help people around the world learn about Chinese culture.” There is, after all, an app for that. Cook shared his visit on Chinese social network Weibo, presumably to further adhere himself to a country where iPhone sales in particular have been less impressive than had been hoped. Remarkable to see so many cutting-edge apps from the 600-year old @故宫博物院 ! Wonderful way to marry the old and the new to help people around the world learn about Chinese culture. Thank you Director Shan for the tour! 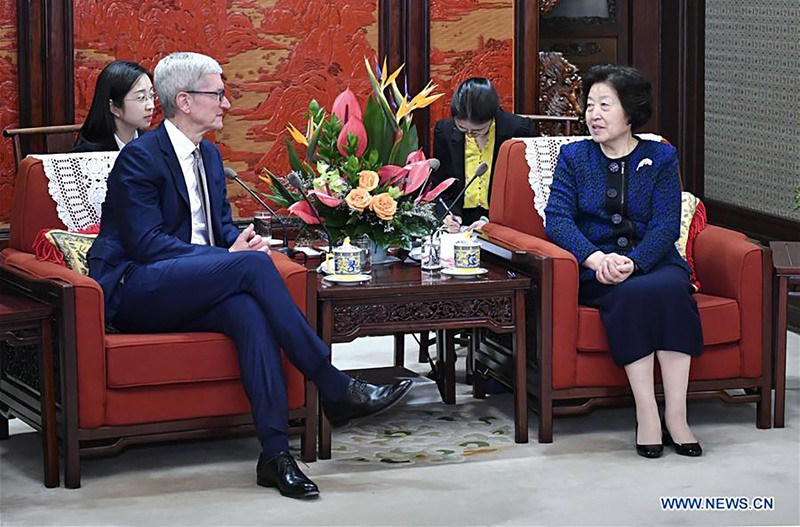 Continuing Apple’s lean into augmented reality, Cook also visited Hongen Education, an outfit that is integrating AR into its products. Cook also spent time at Apple’s Wangfujing store, taking part in a Today at Apple event relating to music. Tim Cook will presumably be making his way back to the US pretty soon to allow time for final preparations ahead of Monday’s media event. Apple is expected to focus on services during the event, with new video streaming and news and magazine subscription services in the pipeline after years of planning.